Reprinted with permission. Copyright ©2005 AsiaNews All rights reserved. 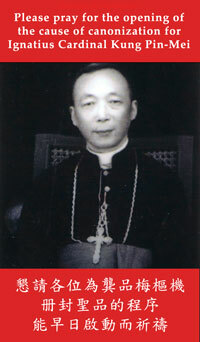 Press office director announces the death of Monsignor Gao Kexian, Bishop of Yantai, in prison since 1999. Vatican City (AsiaNews) - Joaquin Navaro-Valls, director of the Vatican Press Office, took issue once again with the "serious violation of religious freedom" taking place in China against Catholic communities. In particular the Holy See is condemning the arrest of 8 priests and 2 seminarians in Hebei, plus 3 priests and 1 seminarian in Fuzhou. AsiaNews broke the news of the arrests last August 17. According to AsiaNews sources in China, it is clear, by now, that the government has launched a campaign to eliminate or isolate the leaders of underground churches.The Vatican, in affirming that religious freedom is "a fundamental human right", calls for the release of those arrested "so that they may return...to their pastoral undertakings at the service of their respective Catholic communities".Among those whose release is being called for are Bishop James Su Zhimin and his auxiliary Monsignor Francis An Shuxin who disappeared in September 1997 and March 1996 respectively and are being held without trial and whose whereabouts is known.Navarro Valls also gave the news of the death in prison of Monsignor Gao Kexian, Bishop of Yantai. "The Bishop's body -- Navarro Valls said -- was handed over by police to his relatives. Msgr Gao had been imprisoned since the end of the 1990s and there had been no news of him for some time".Here is the full text of the statement (AsiaNews translation): The Holy See has just come to learn of the arrest, last August, of Catholic priests and members of the faithful in the People's Republic of China. In the first week of August, the Rev. Fr. Paul Huo Junlong, Vicar General of the Diocese of Baoding (Hebei province) was taken into custody by police, along with 7 other priests and 2 seminiarians. The priests Paul An Jianzhao and John Baptist Zhang Zhenquan were condemned to a period of re-education through forced labour. It appears that the others are being detained in Quyang (Baoding), with the exception of three who do not belong to the above-mentioned diocese. According to our information, as of September 6, 2004, there are 23 members of the Baoding diocese clergy in detention or deprived of freedom. Among these are Bishop Msgr James Su Zhimin and his Auxiliary Msgr Francis An Shuxin, who disappeared September 1997 and March 1996 respectively. They are being detained without trial and their whereabouts is unknown.Subsequently, the diocesan administrator of the Archdiocese of Fuzhou was arrested, along with 2 priests and 1 seminarian. There is currently no indication that either has been released. The Holy See is unaware of any reason for such repressive measures. If this latest news were to be true, this would be, once again, a serious violation of religious freedom, which is a fundamental human right.The Holy See calls for the respect of this right which has been sanctioned by the Universal Declaration of Human Rights, and trusts that all the persons mentioned will be justly returned, as soon as possible, to freedom and to their pastoral undertakings at the service of their respective Catholic communities.Lastly, news has arrived of the death in prison, toward the end of August, of H. E. Msgr John Gao Kexian, Bishop of Yantai (Shandong province) at the age of 76. The Bishop's body was handed over by police to his relatives. 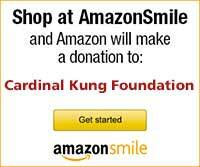 Msgr Gao had been imprisoned since the end of the 1990s and there had been no news of him for some time.